9/11 Memorial, The Tribute in Light will be lit at dawn on September 11, 2012. 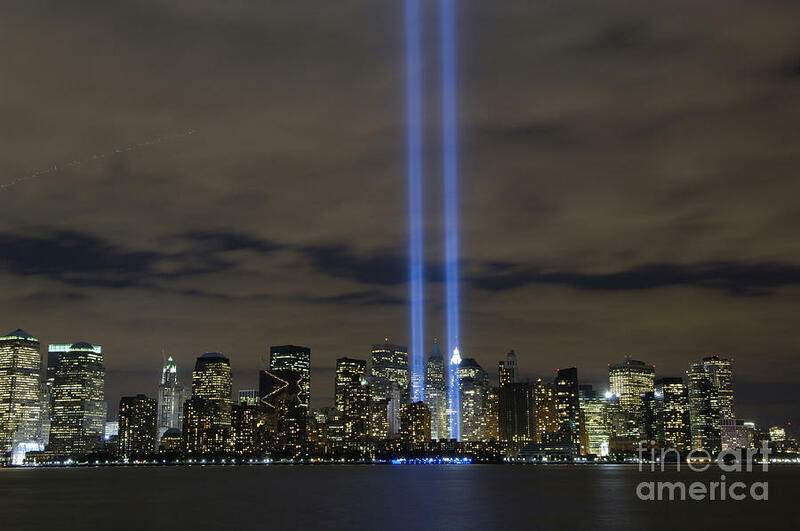 The Tribute in Light is an art installation of 88 searchlights placed next to the site of the World Trade Center to create two vertical columns of light in remembrance of the September 11 attacks. I will never forget. 9/11. May God Heal this once Great Nation. Very sad day for our country.